We have a variety of animal shape targets available. Shown here are Static Targets, Gongs, Reactive Targets, and Silhouettes. The center fire targets are made from 3/8" thick, AR500 hardened steel for extreme long life and excellent impact resistance. The rimfire targets are made from 1/4" thick, AR500 hardened steel. .22 rimfire shooting should be performed at 15 yds minimum. Custom Metal Products is the premier source of pistol targets and rifle targets. Order your AR500 targets to practice with today! The Ram Silhouette is a full scale IHMSA/NRA silhouette. When hit the silhouette target will fall a.. The Turkey Silhouette is a full scale IHMSA/NRA silhouette. When hit the turkey shooting target will.. The Pig Silhouette is a full scale IHMSA/NRA silhouette. When hit the steel pig target will fall an.. The Chicken Silhouette target is a Full scale IHMSA/NRA silhouette knock over. This silhouette targe.. The steel ram silhouette is a 1/2 scale IHMSA/NRA silhouette knock over. The animal shooting target .. The Turkey Silhouette is a 1/2 scale IHMSA/NRA silhouette knock over. The target is made from 3/8" t.. The AR500 Pig Silhouette is a 1/2 scale IHMSA/NRA silhouette knock over. The pig silhouette target i.. The Chicken Silhouette shooting target is a 1/2 scale IHMSA/NRA silhouette knock over. The animal si..
34" tall Deer Silhouette target is made from 3/8" thick AR500 hardened steel for extreme long life a.. The Bobcat Target features reactive vitals that flip out when hit. 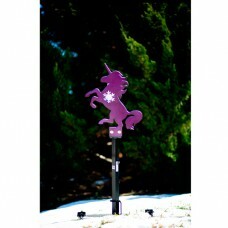 The flapper immediately closes ..
Have you ever seen a Unicorn in the woods while hunting? Well now’s your chance to train for t..